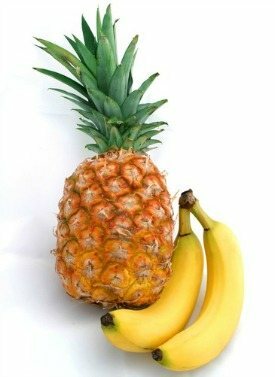 Treat yourself to this tropical, delicious, fruity, healthy, quick and easy to make smoothie. This recipe comes not from my own kitchen experimentation, but rather a loyal reader and smoothie enthusiast. Thanks, Corinne! I tend to get carried away with the ingredients when concocting my smoothies; so it was nice to blend up a tasty treat that only contained four ingredients. Sometimes simple is best. The original recipe from Corinne called for frozen yogurt. I substituted an organic maple syrup flavored one. Feel free to use your preferred yogurt. Enjoy! I’d love to know if you tried this pineapple banana smoothie and what you thought of it – please do tell in the comments below – and don’t forget to thank Corinne for the recipe. Happy Blending! Nice to hear you and your husband enjoyed this smoothie. Can’t got wrong with chia seeds and coconut oil. Many of my recipes aren’t overly thick to accommodate those with less powerful blenders. Definitely use less liquid if you prefer thicker smoothies. I really loved this smoothie. I used Almond Milk and Apples as well and it was DELICIOUS. I like the almond milk and apple additions, Stefanie. I did only pineapple and banana smoothie and i love it, it was delicious. Thanks a bunch Corinne for the recipe. Thanks handsome Ryan for sharing.